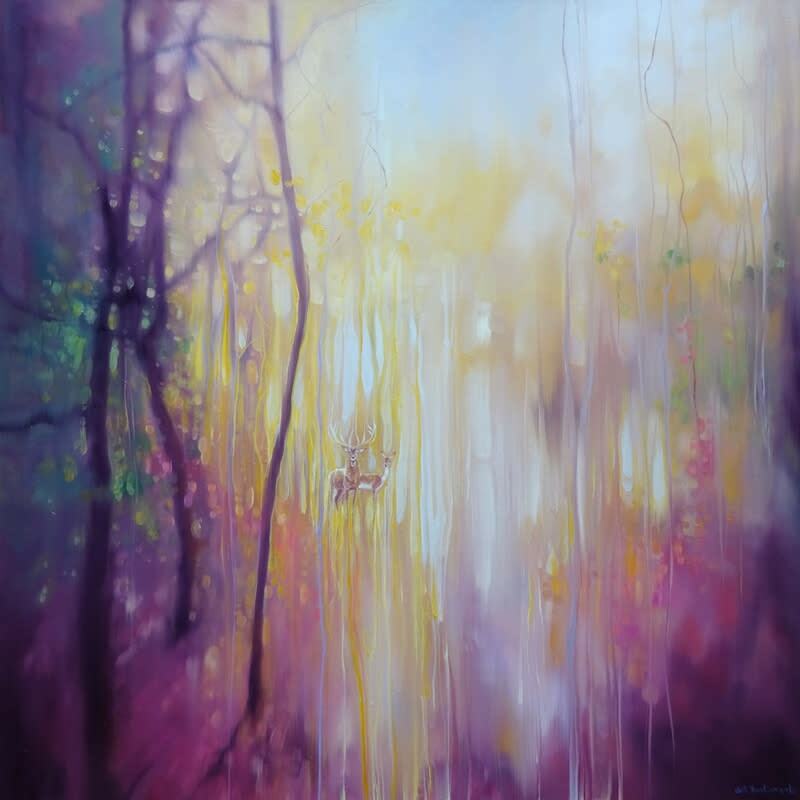 30 x 30 x 1.5 inches semi abstract autumn landscape painting with deer in an an autumn wood. 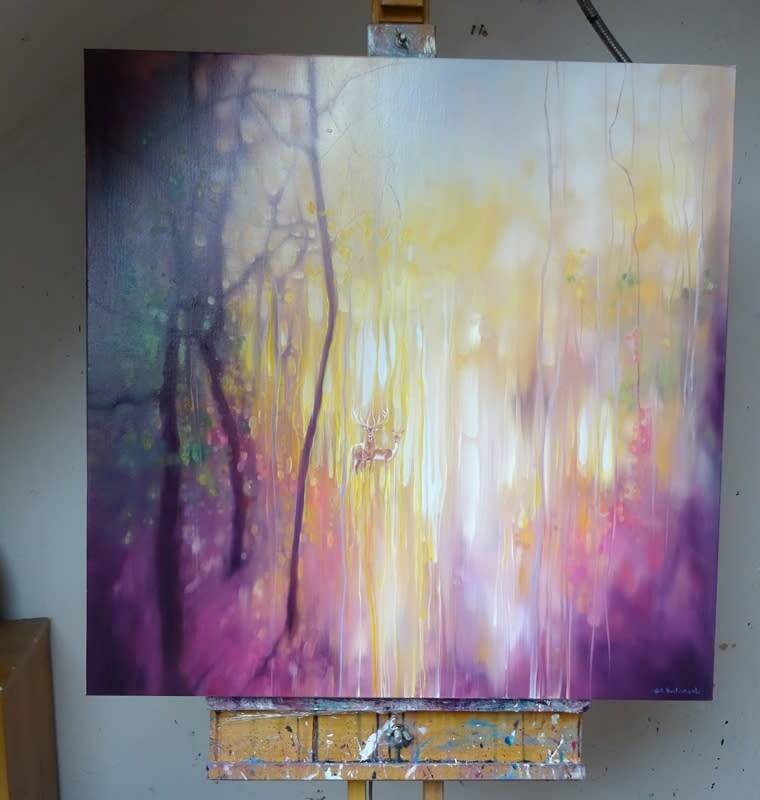 The background of this autumn inspired landscape was painted in a loose, abstract style with a few trees and leaves hinted at and the idea of golden light coming through trees. 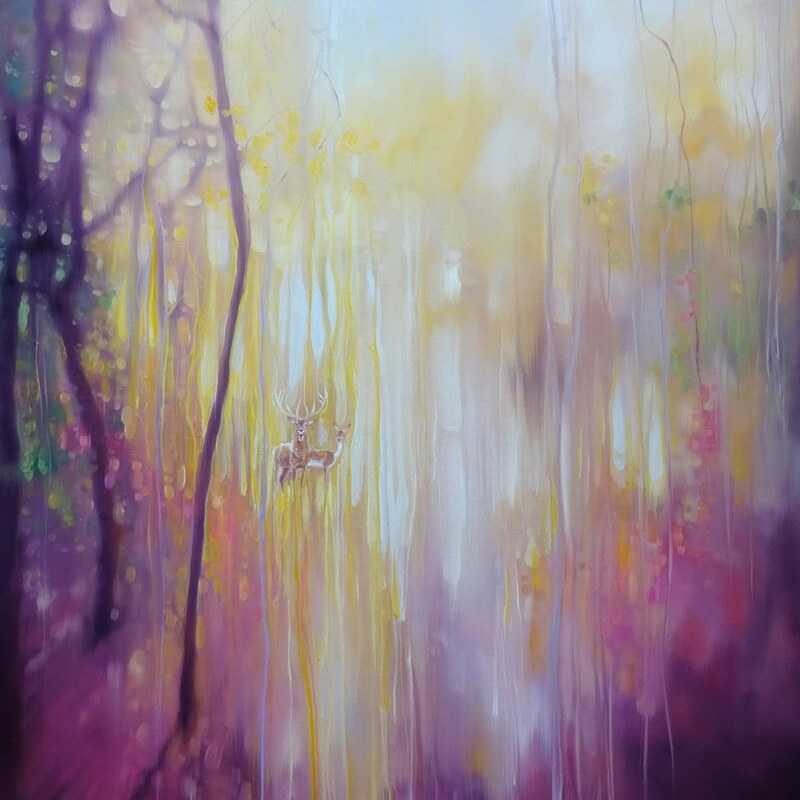 Some of the beams of light shine onto a clearing where a red deer stag and a doe have just appeared. 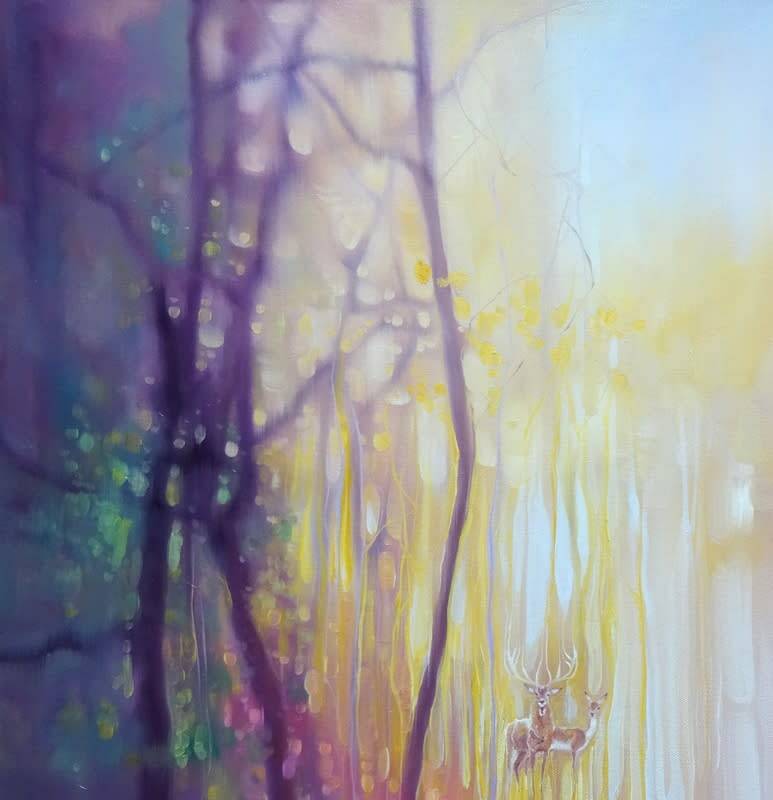 I wanted to try and recreate the ethereal nature of deer as well as the experience of a walk in an autumn forest. It is something many people love to do as there is an atmosphere under trees that is both reassuring and a little melancholy in the autumn. 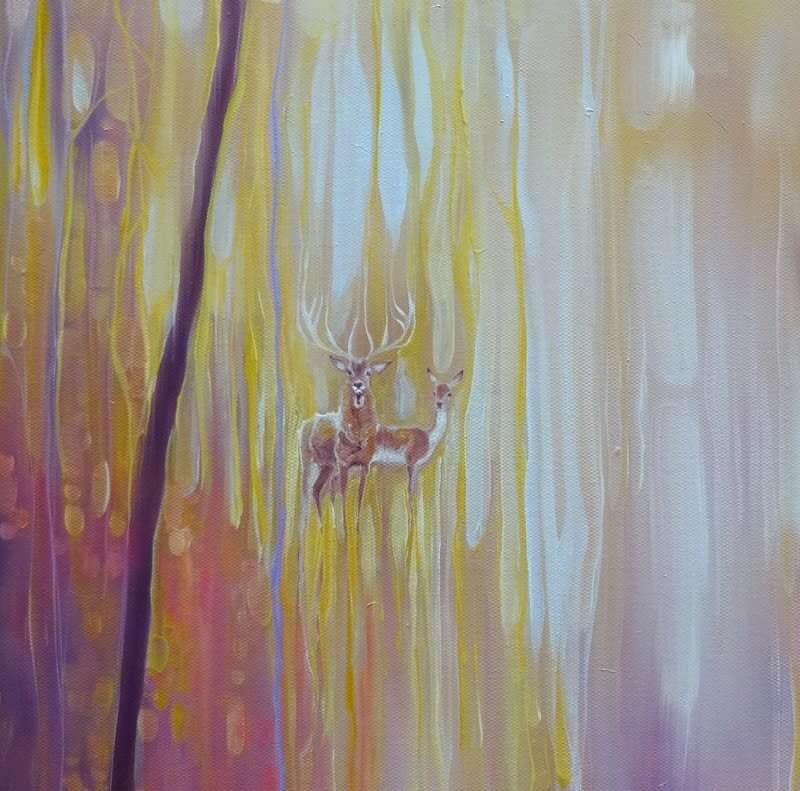 Around the deer I used some bright gold yellow which adds to the magical element of the painting. The colours are warm and autumnal and are reflecting what I see around me right now in the Ashdown Forest area of Sussex (October 2018). 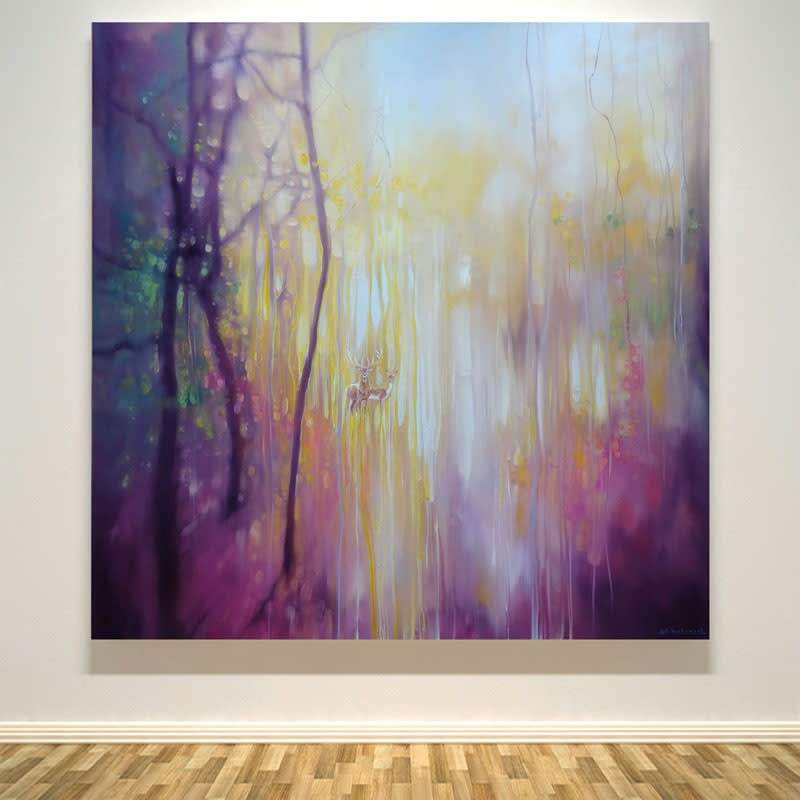 Painted on deep edge canvas - edges white, no frame needed.